One of the greatest rewards of owning a pond is the ability to catch quality fish right in your backyard. That does not come without proper planning and management. 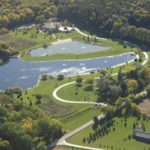 Wisconsin Lake & Pond Resource LLC fisheries biologists will work with any pond owner to make sure the proper tools are in place so your pond can sustain a quality fishery. Basic Fish Survey: This is a general survey of your fish population. We will come out and set fyke nets for 3 days depending on the amount of fish caught. Nets will be monitored once a day. We will keep track of each fish caught and collect length and weight data for future reference. 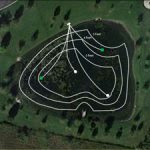 At the end of the survey we will give you a report that will include all the species we caught in your pond along with a general idea of the health of the fish population. Age Structure Survey: For this survey we will set the nets for 5 days so we can collect sufficient data. 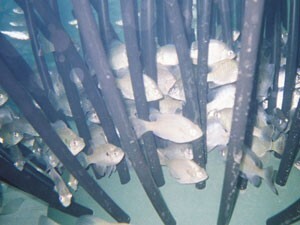 Length, weight and scale samples will be collected from every fish caught. After all the analysis is complete you will receive a report including age structure, length-weight relationships, and age-length relationships. We will then be able to compare the growth of your fish to the state averages. Population Estimates: For this survey we will set the nets for 5 days. 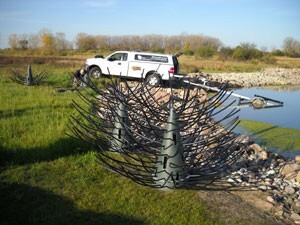 Lengths and weights will be collected on all fish caught. Fins will also be clipped on targeted species for recapture data. Every time a fish is recaptured that data will be recorded for population estimates. You will receive a report with population estimates for each species requested. Complete Fish Survey: This survey will include the fish survey, age structure survey and population estimates. Nets will again be set for 5 days. Length, weight, and scale samples will be collected for all targeted species. Fin clips will also be done on select species for population estimate data. Fish Removal: In some cases fish populations can be managed by physical removal. We can either completely remove all the fish from the pond with the pesticide Rotenone or we can set nets and check them on a daily basis and remove unwanted or over populated fish. 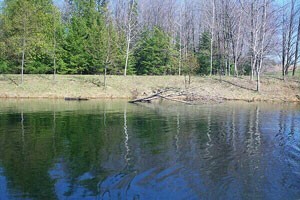 Removing unwanted or over populated fish can help improve the fish populations in a pond. 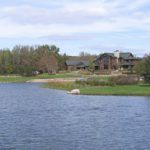 Permit and License Requirements: All ponds in Wisconsin are required to have either a Department of Agriculture type 1 fish farm registration or a DNR stocking permit. To obtain a Department of Agriculture type 1 fish farm registration call the Department of Agriculture (608)224-4887. If you plan on just stocking fish, we can assist you with the DNR stocking form. Contact our office at 1-866-208-0724 for assistance in obtaining the correct license. 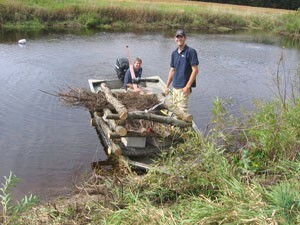 Wisconsin Lake & Pond Resource, LLC builds, designs, and installs fish structure for lakes and ponds. 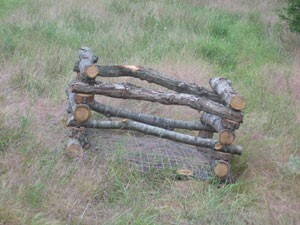 We have many options available including hardwood cribs, plastic cribs, and natural materials. 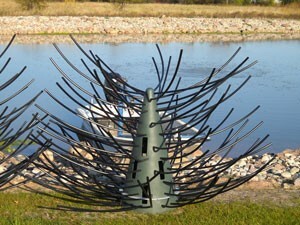 Provides woody hard surfaced spawning structure for many common fish species including perch, crappie, bass, and several minnow species. Provides needed structure (habitat) to help keep your fishery in balance by offering protection to forage fish. Increases growth rates of predator fish. 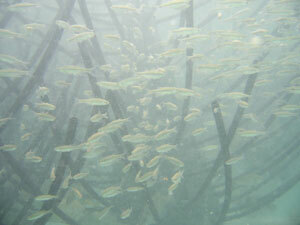 Adult forage (prey) fish have protection to reach spawning age, which increases the density of young minnows and panfish that are easily preyed upon by predators.